VR Plus is a virtual reality game arcade in Carlton. Virtual reality is becoming a huge hit not only in Australia but around the globe. The fact that many tech giants are investing in this technology is a clear indicator that this VR craze is here to stay. 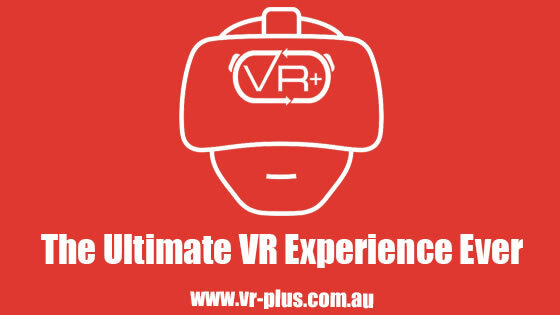 VR gamers and VR enthusiasts in Melbourne now have the perfect place to enjoy VR experiences - VR Plus Studio. After a long research, the management of VR Plus Studio has decided to choose HTC Vive as their primary VR headset. With the help of this VR headset, visitors can walk around in virtual worlds. Once they put the headset on and equip their arms with the virtual controllers, they will find themselves in a virtual world that promises unforgettable games and experiences. From fighting zombies with machetes and battling space pirates, to destroying rogue robots - the virtual reality experience you'll get in VR Plus Studio will be remembered for a long time. Of course, you can enjoy other VR experiences that don't involve violence like virtual tennis, virtual rock climbing that goes up in the sky and even some great escape room kind of puzzles. Be prepared for hours of non-stop fun and entertainment. VR Plus Studio has games suitable for players of all skills. However, if you want to get the most from this unique experience, it is better to start slowly and gradually and move from the easiest game to the most advanced ones. Feel free to ask staff members for recommendations. Keep in mind that this is a brand new technology which means that VR is making progress almost on a daily basis. There are new games that are released from time to time and VR Plus Studio includes the latest games in their offer. In other words, you should visit VR Plus Studio on a regular basis and you can rest assured that you will always get a new exciting experience. Finally, there are some great individual, co-op, and multiplayer games, so select the mode you like the most.